One of the most influential DJ’s of the Florida dance scene has returned for another bout in the ever so evolving scene we call EDM. This DJ is no stranger to those who have been around for the madness he stirred up on the legendary nights at his former homes: “The Abyss” & “The Club@Firestone” in Orlando, FL! In a city once known as the Euro Epicenter for dance music, D-Xtreme was right in the middle of it. 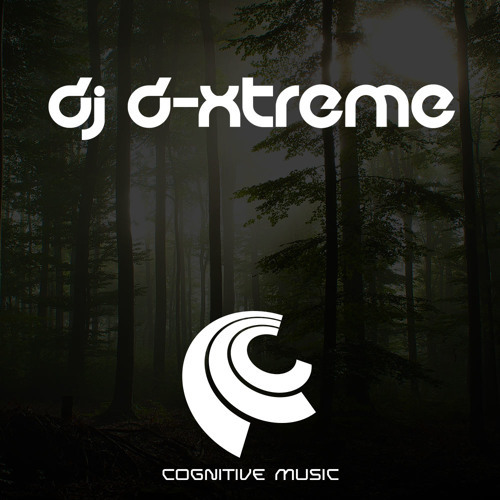 D-Xtreme was introduced to the Electronica sound by Orlando pioneer DJ Kimball Collins in 1987. He began playing several small venues until he ran into guy walking around saying he was going to open a club. That guy happened to be super promoter Najib Elmasri. He was offered a residency at the new dance club called “The Abyss”. Playing 3 times a week next to his partner DJ Stylus, the madness began. In 1992 “The Abyss” became one of Florida’s premiere spots for banging underground dance music. The nights ran into each other every week and a star was quickly shining. As his popularity grew, D-X began to develop such a big following that it led him to a residency at one of the biggest and prominent spots in Florida club scene, “The Club@Firestone”. As a resident at “The Club”, he helped make it become the place to go and hear overseas DJs & artists for the first time in the states. He was able to showcase his talents alongside some of the biggest DJs not only of that time but now as well. During that time “The Club” was voted the best Club in the USA by Rolling Stones Magazine and Mixmag. Flying around the world was nothing for DX as he traveled heavily to support his new found popularity. During all this D-Xtreme ran Vinyl Frontier for three years and made it O’towns #1 record store for hot underground dance music. With countless nights of pure pleasure, this DJ brought the Club to a frenzy every Saturday night for 4 years until the city stepped in and shut the party down by changing the drinking and club hours. The club survived but the night went away. When all was said and done the impact was left and the night has been called legendary ever since. In 2008, he became the Music & Media Managing Partner at Unknown World Entertainment Group. His fresh blood in the company has helped push it into areas the company has never gone before. He also began working with George Acosta and Filo & Peri to help them expand on their already popular fan base bymaking their internet awareness more broad. He also joined forces with producer Nology and started a studio partnership that includes remixes of George Acosta, Filo & Peri, Alexander Fog & Block & Crown to name a few. I addition to that he & Nology have just formed a new label called Cognitive Music. cognitive Music. As you can see this DJ/Producer/Label Owner/A&R Rep/Managing Partner is moving in all directions and headed the right way in order to re-establish himself as a truly special artist. Stay tuned…you won’t want to miss a beat!